Some kids have normal first memories. Maybe they remember a carnival, or the first day of kindergarten, or riding on top of someone’s shoulders at a Fourth of July parade. My first memories are white: white coats, white walls, and white rooms. But something seems off now as I try to navigate through the once familiar halls of the hospital from my youth. I need to get to room 403, that’s my room, but every time I turn a corner it seems I’ve gotten mixed up somehow and am going the wrong way. I look at the doors for direction, but the numbers on them don’t seem to be in any particular order or are missing altogether. A pretty blonde nurse walks by and I try to stop her to ask for help, but she doesn’t seem to notice me. She just keeps looking straight ahead as she walks quickly down the corridor. She carries a clipboard in front of her, obviously planning to attend to more pressing matters. That’s when I hear the crying. It stops me in my tracks and raises the hair on the back of my neck. It’s a child’s voice, that I can tell, and although the sound is faint, something about it is eerily familiar. I turn around, my footsteps echoing down the hallway, and follow the cries to the last room on the right. The lights flicker as I approach the open doorway. As I poke my head inside, I am surprised to see my mother standing there. She is noticeably younger and even more beautiful than I remember; she has long, wavy, thick dark hair and her bright red lipstick pops against her perfect ivory skin. She’s talking very seriously with a stout older man who’s wearing thick rimmed spectacles and a stethoscope around his neck. "So it can all be fixed?" she asks. "Well, not a hundred percent," the man replies. "Because of the macroencephaly, his head circumference will always be a little larger than most, but he’ll grow into that more as a man and it won’t be as noticeable. Now, as far as the torticollis? Travis will most likely retain a fair amount of asymmetry in his face and shoulders, however with the right treatment plan we should be able to make him look and feel a heck of a lot better." My mother smiles and nods at the doctor. I remember this conversation, I think. As they turn toward the examination table, their bodies part, and I am able see myself as I was at three years old. My face and shoulders are grossly misshapen and my head looks like an orange atop a toothpick. My hair is just as dark, curly, and frizzy as it is now, but my skin is smooth and free of acne. I’m sitting on the metal table, my legs dangling in the air, and my face is puffy and red from crying. They doctor bends down to pat me on the head. "You’ve seen Gumby, right Travis?" I look up at him and shake my head yes, my eyes brimming with tears. "Well, we’re gonna stretch you for a while. Kinda like Gumby stretches. Is that all right with you, young man?" My mother reaches out and grabs my hand. She squeezes it so hard that even as a young child, I know her squeezing my hand is more for her comfort—not the other way around. The pretty nurse that ignored me earlier now comes up beside me in the hallway and knocks on the door frame. "Doctor Rosenthal? Here are the charts you asked for." The nurse hands him the files and then looks over at the childhood version of myself. "Aren’t you the cutest little guy?" she coos. "Do you want a sucker?" She digs a lollipop out of her pocket. "Is it okay, Mom?" the nurse asks. "That’s very nice of you, thank you. What do you say, Travis?" "Thank you," my childhood-self answers shyly. The nurse smiles politely at everyone and then leaves the room. She still doesn’t seem to notice me as she flattens herself against the wall. Another woman is walking down the hallway towards us and I watch curiously as the nurse motions frantically for the woman to look in the room. The woman appears startled as she pauses in front of the open doorway. "Come here!" the pretty blonde nurse calls out to her in a hushed tone. They move a little further down the wall, but I can still hear them as they whisper. "Yikes, that’s a different lookin’ kid," the new woman says. "I know! He’s so ugly he’s almost cute, isn’t he?" "Cute is the last word I’d use to describe him." "Did you see who his mother was?" the nurse asks in a gossipy way. The other woman tries to move past me to look back in, but her friend pulls her back. "Don’t do that! They’ll see you!" "No!" The woman gasps. "The high school football star?" "Yup, the quarterback and the prom queen’s kid." "Wow, who’d a thought it? Boy, they must be disappointed, huh?" The two women giggle. I get up off the wall and shout at them as they start walking away. They can’t hear me so they continue laughing as they move down the corridor. Each giggle that trails behind them hits me like shrapnel. We live in Middle of Nowhere, Indiana. Who do they think they are? Supermodels? Smacking the palm of my hand angrily against the wall, I take off running down the hall. When I get to the end of the hallway, I use my foot to kick open the swinging double doors, but as I do, I find I’m now entering the hallway outside of the biology lab at my high school. I look around, confused. Am I late for class? Wait? What class am I supposed to be in, anyway? The fog of not knowing makes me feel anxious and upset, but I’m not sure how to figure it out so I just try to blend in. Kids are pouring out of the classrooms, likes ants out of a mound. I envy that they all instinctually seem to know where to go, who to talk to, and how to talk to them. Just like at the hospital, no one seems to notice me. However, in this place, this doesn’t strike me as odd as I’ve learned how not to draw attention to myself. You’d never know it from my silence in the stands at the pep rallies, but on the inside I’m on my feet hollering and cheering along with the rest of the school. As everyone rushes past me, I stop to look at a poster of a snarling opossum on the wall. It has a caption that reads, "The Awesome Opossums of Wesley High." The opossum is our mascot, and there are posters just like this one plastered all over the school, but for some reason I can’t stop staring at it. Something’s not quite right about all of this. There’s something that I want to remember, but my mind can’t seem to focus. What is it? What isn’t right here? The more I try to figure it out, the more kids fill the hallway. They start bumping into me, knocking me off balance, but I keep my ground, my eyes fixed on the poster. "Hey, Hunchback, move!" I hear someone scream. "You’re in the way!" Pep rallies, school, class–what’s not right? The crowd gets thicker and thicker until everyone is standing shoulder to shoulder; packed in like sardines. They all move with the exact same rhythm and I can feel myself starting to being carried off down the hall with the crowd. I look back over my shoulder at the opossum one more time, and as I do, it hits me. "It’s out!" I scream at the realization. "School’s out!" None of the blurry, nameless, faces react at all to what I’ve said, but I’m thrilled with myself for remembering. "School’s out!" I scream again. "You don’t have to be here!" The students keep mindlessly moving down the hallway and I find myself getting angry at their ambivalence. This is my shining moment and they’re ruining it! I think. For me, the summer just means I get to sleep in late. But it’s the last summer before our senior year; for everyone else my age, school being out means lazy days at the lake and long nights out, doing things that their parents would kill them for—that is, if their parents ever found out about it. Here I am, sharing the single greatest piece of news they could ever hear, yet everyone’s acting like I’m screaming out the lunch menu! Disgusted, I use my elbows and shoulders to push through the crowd. A few people I don’t recognize give me nasty looks or mutter things under their breath as I move past them, but again, nobody reacts at all to my great revelation that school has ended for the year. When I get to the stairwell, I stop. Indignant, I look back at the crowd and yell, "Well, I don’t know about you, but I don’t have to be here, so I’m going home!" But when I turn back around, instead of seeing the stairs, I see a beautiful pool of crystal clear water. I look behind me and the school is gone. I’m on a diving board suspended high up in the air with nothing around me but blue sky. Normally, I’m afraid of heights, but it doesn’t even cross my mind now. Arching my back, I reach my arms way out to the side and without a second’s worth of hesitation let my body fall forward. Air whooshes past my face. For a brief moment I feel the sweet, weightless freedom of falling. This only lasts for a moment, though, before my natural senses suddenly come rushing back. My stomach flutters. I am completely overcome with the very realistic sensation of tumbling through the air like a skydiver without a parachute. I can feel myself start to panic, and in a desperate attempt to slow the descent start frantically spinning my arms and legs around like pinwheels. I open my mouth to scream. Then just as I am about to hit the water with unthinkable force, my body jerks awake. It takes me a moment to make the connection, but as I do, I let out a deep sigh of relief. Comforting myself in the same way countless numbers of dreamers have done when things go bump in the night, I tell myself, "It was just a dream." I have absolutely no way of knowing that this is the last time I’ll ever be able to tell myself that. I think back on that dream a lot now. It’s funny, with everything that happened after, you wouldn’t think that this dream would stand out that much, but it does. That memory represents simpler times… and that’s what we all get nostalgic for, isn’t it? Simpler times. "Ya do, do ya now?" Doctor Kelly chuckled and glanced momentarily up from her desk. She was leafing through a folder of what I only could assume contained my vast and sordid medical history. "Well, if it isn’t my good friend, Travis Hunter. It’s good to see you again Trav; it’s been awhile." Doctor Kelly smiled. She slapped her hands playfully on her thighs and rolled back on her chair, "walking" a few steps towards me while still seated. "Den I should let you know somezing." She looked around as if others might be listening in. She cupped one hand around the side of her mouth, and in an exaggerated whisper said, "I’m a zerapist. Not a drug dealer." I smiled from the doorway. "Now come on in here and sit down. I want to catch up on everyzing dat’s been going on wid you." Kelly’s accent wasn’t overwhelming, but was definitely detectable. I’d never asked her what it was, maybe German? The only words you could really hear it on were the ones that have a "th" in them. For her it came out sounding more like a "d" or a "z." She stood up, gave me a warm hug, and patted the chair directly in front of her desk for me to sit down. "Where’s your Mom?" "She had stuff to do at the store." I watched Doctor Kelly’s skirt swish about her legs as she pulled her chair back behind her desk and sat down. She always wore long skirts and soft cotton tops that seemed to float about her when she moved. Kelly was very pretty in an earthy kind of way. She was tall and slender and her long hair was so blonde it looked almost white. I guessed she was probably around forty, but she looked exceptionally good for her age. She didn’t have any wrinkles yet. In fact, about the only line on her face was that of an old, thin circular scar that hooked around the outside of her right eye. "So what’s up? How are your folks?" Kelly asked. "You’re about to start da big senior year, aren’t you?" "I ran into your Dad da odder day. He told me all about da new room dey gave you. Dat’s a big deal! You know how many teenagers would kill for somezing like dat?" I’m not good with small talk. Kelly knows this, but I think it’s her way of getting me to practice. Silence is my best defense when I realize I’ve been taken in. It works well in a number of ways. Mainly, I don’t have to answer the questions, but it also it eats up a lot of time so I can stay in her office longer. "Travis? Your room? Dat’s a big deal, huh?" I take in all the strange statues and prints around her office. It’s cool and dark in the room and there’s always a faint smell of eucalyptus oil in the air. I like that. "Travis? What’s going on? You said you wanted some pills when you came in here. What was dat about?" "Dere he is. Welcome back. You can’t sleep. Okay, so how long’s dis been going on?" "I’m not sure, a few weeks I guess? Maybe a month or so." Kelly looked down and scribbled thoughtfully on a piece of paper from the folder. "So, since about da time school was getting ready to let out. Has anyzing else changed in dat time?" "Other than me not sleeping?" "I dunno." I said, blowing air out of the side of my mouth. "I guess I’ve had some kinda weird dreams and stuff, too." Kelly stopped writing and looked up. "What kind of weird dreams?" "Just weird school stuff …and, like… I dunno, I guess I’m remembering a lot more of them." "Huh." Kelly looked momentarily intrigued. When I said nothing more, she shook her head and looked back down. "Well, we usually treat dat with some kind behavior modification first." She began digging into a pile of papers on her desk. "I have a hand-out somewhere in dis mess. You’d be surprised at how a couple of simple changes can really just make a world of difference." At first it barely came out as more than a whisper. "Okay, well I can’t seem to find it, but I have a pretty good memory and I can probably-"
It came out with such force that Kelly flinched—freezing mid-dig. Everything stood still as our eyes met in the uncomfortable space my outburst had created. Oddly enough, I was the first to break it. "That was weird. I’m sorry Doctor Kelly. It’s just, I don’t want a handout. Thank you very much, though. What I’d really like would be to try some sleeping pills." Then almost as an afterthought, like politeness would help my cause, "Please." Doctor Kelly planted her arms firmly in front of her and instinctively leaned in. "Now, Travis, you know I’m not da kind of doctor who just gives out pills." "But you are a real doctor, right? You could if you wanted to." The jab obviously got under her skin. "I don’t believe a real doctor should simply medicate problems," she said. "I believe dey should get to da root of dem, but if you mean do I have a degree? Den, yes, I have several. I’d be happy to show dem to you if you’d like." I crossed my arms and sulked in retaliation. It was another failure in my life. The line for the mid-day medication break in my school was just as long as the lunch line. Of course my Mom would’ve had to set me up with the only psychiatrist across three states that didn’t believe in medicating her patients. Unless you counted herbal remedies. Doctor Kelly was a holistic therapist. Her voice softened. "Travis, why do you zink you need medication?" "I told you. I have a sleeping problem." Then under my breath I added, "Everyone else does it. I don’t know why I can’t." Again silence. My eyes dropped from hers to the floor and then floated back up to settle on the bookcase just over her right shoulder. She watched me closely, waiting for me to say more. On the shelf in a thick silver frame was a photograph of a man with two small children. "That’s a nice picture," I said. I got up from my seat and walked over to the bookcase. Doctor Kelly shifted uncomfortably in her seat, absentmindedly brushing her fingers over the scar on the side of her face. "Dank you." I picked up the photo and looked back at her. "Is this your family?" "They look good." I said. "They all have nice smiles." My hand lifted self-consciously to my own mangled mouth as I said this, then jerked back down. Doctor Kelly picked up her pen and tapped the bottom of it on the desk a few times, her face tightening. I held my breath, waiting for her to take the bait. It’s not like I felt sorry for myself. You see all people use their looks to their advantage. Whereas a beautiful woman might use her sexuality to manipulate people in certain situations, a person with unappealing looks can just as easily use guilt and sympathy to get what they want. It’s a basic survival technique. Even the great Doctor Kelly Jansen was not immune to this strategy. With her many degrees and years of practice she may have had a better idea of what I was doing, but in the end she was still human. She had the basic primal need to help me. "You know," she said, "you’re right, Travis. You aren’t like everyone else." Kelly exhaled deeply and stood up. She walked over to me and gently removed the photograph from my hands. After running her hand over the image, Kelly placed the picture back on the shelf. She turned to face me. "I know dat you don’t understand dis now, but it’s not always a bad zing to be different. It’s da people dat go against da grain dat are da most interesting." "Hm," I hummed. "That’s easy for someone like you to say." "You’ve never had to deal with not fitting in." "And how do you know dat?" "I can just tell," I said, turning away. Leaning over, I began to inspect some of the others items on the shelf. "Is dat what you want, to fit in?" "I don’t know." I shrugged. "It’d be nice to try, I guess." Then I picked up a little white statue. "What’s this?" "Ahhh," Doctor Kelly sighed. "Dat’s Dub-belt-je’." She laughed. "Dub-belt-je’," Kelly repeated. "According to Dutch folklore Dub-belt-je’ was a cat dat saved da life of a beautiful little girl when her grandmodder didn’t want her." "Why didn’t her grandmother want her?" "Because she was a girl." "Huh." I turned the statue over in my hands. It was made out of stone and had the head of a panther with the body of a man. "It was a very long time ago." Kelly said. She took the statue from me and placed it back on the shelf where it belonged. I leaned in and continued looking, my hands behind my back. "Zanks to dat cat, da little girl grew up to be quite a loved and respected woman," Kelly added. "Cool. So are you Dutch or something? Is that how you know about that?" "Yes." Doctor Kelly answered. "Or somezing." "So is that your accent then?" "Yes. Why? What did you zink it was?" "I dunno, German or something." Kelly laughed. "Well, it is a West Germanic language so I suppose I can see dat. Of course, English is, too. Do you know any odder languages, Travis?" "Ahh, Americans and deir schools." She sighed. "In Holland we start speaking English at a very young age. Za Dutch speak many different languages. I’ve never understood why Americans are so satisfied wid just speaking one." She watched intently as I continued to rummage through her things. Then in a low voice, more to herself than to me, she said, "I guess sometimes we all need a little help." Doctor Kelly walked over to her desk and got a key out of the top drawer. "You know what? I have somezing you might like even better." She took the key over to a cabinet in the corner of the room. I watched with curiosity as she unlocked the cabinet and pulled out a thin drawer lined with blue fabric. "In fact, it might even help you." Doctor Kelly removed a black velvet pouch. "Dere’s another legend," she said." Dis one is even older." "It’s kind of—everybody," she answered thoughtfully. Closing the cabinet, Kelly walked over to me and handed me the bag. "Dere is said to be a secret society," she explained, "called ‘Da Lucid,’ Who has found a way to escape all of da constraints of humanity. Dey are believed to have created deir own world—so whatever laws, uprisings, or challenges dey are ever faced with, dey can find solace." "Where?" I asked. "Where is this world supposed to be?" Doctor Kelly tapped the bag. "In zeir dreams." I gave her a funny look and loosened the drawstrings. A dark green stone fell out into my hand. It had little red splotches on it and was hung with three small chains from a silver crescent that looked like the moon. The metal of the crescent looked very old, as if it had been pounded by hand. "You made me zink of it when you mentioned your dreams earlier." Kelly said. "I zought you might appreciate it." "It’s a talisman. According to legend, it was originally used by da Lucid as a gateway to da dream world." "That’s really cool," I said, "What’s it got to do with me?" "Talismans are very magical. Dey have da power to make extraordinary transformations. Why don’t you keep it for a while? See how it works?" "Oh, come on," I disagreed. "You don’t really believe that, do you?" Doctor Kelly smiled. "I believe very much in powerful transformations. Besides," she added with a wink, "bloodstones are supposed to be great healing stones—excellent for sleep problems." She took the talisman, dropped it in the bag, and handed it back to me. It took a moment for me to realize what she was doing, but as it sunk in, I shook my head. "You’re good." I said. "You’re really good." She laughed and patted my back. "So you’ll try it?" The moment must have grounded me, which probably was all part of Doctor Kelly’s plan. Because of this, I was actually able to sit back down and talk with her. We discussed the weather and my family–nothing big. When I left, though, she asked me to be careful with the talisman. I promised her I would, but really, I wanted to give it back. It seemed so old and so special, something that had great value to her. (It had its own locked space in her office, for Pete’s sake!) I wondered if the talisman was worth a lot of money—a thought which instantly made me feel even worse. You see, I didn’t have a sleeping problem. I’d made the whole thing up. I just wanted something to talk about. That’s the thing with therapists—they like to talk, and I had absolutely nothing going on in my life worth talking about. I chose a sleeping problem simply because it seemed like something that was hard to prove. Little did I know that my lie and the doctor’s talisman were about to make all of my dreams come true. And that as I began my walk home, I was about to run into the one person who (despite her own knowledge or wishes) was about to take that journey with me. She was the most beautiful girl I had ever seen. The most beautiful girl the town of Everton had ever seen. Her name was Corrine Johnson, but Corri is what her friends called her. If only I could be named in that company. Everton, Indiana, is small by big city standards, but not small enough where you absolutely know everyone in it. Although Corri and I are the same age, we go to different schools. With the myriad cliques and subcultures that come with adolescence, saying you go to different schools is pretty much the same thing as saying you live in different states. She recognizes me, I’m sure, because I come to the store all the time. But we’ve never had any kind of exchange long enough to be considered a real conversation. And I’m certain that Corrine Johnson doesn’t remember the first time we ever saw each other. Even though, for me, it was one of the defining moments of my life. She had been thirteen and was walking with friends outside of the town library. The sun caught amber tones in her hair that day and the fiery tips made it look as though she were being illuminated from within, like the small white bags with candles that line our neighborhood streets at Christmas. She had this way of throwing her head back when she laughed that got her whole body involved. I’d never seen somebody laugh like that before. As I walked past her on my way into the library, she smiled at me. I’m sure it was just a passing acknowledgment to her, but for me, the whole universe shifted. A charged light filled my entire being—for the first time, I felt completely alive. I had witnessed perfection. And for a moment it had witnessed me—it had smiled upon me! My heart began to pound as I neared the coffee house bookstore where she worked. Every crack in the concrete was studied, counted, and memorized, so that without even lifting my head, I knew by the step how close I was to the entrance. A charming, familiar bell rang out as I pushed open the door. That bell is as close to religion as I come. "Hello!" Corri waved, then promptly turned her attention back to one of the coffeemakers behind the counter. She always had the same greeting and smile for everyone. I said nothing in return, just quietly shuffled back to the metal book carousels on the other side of the store. Plucking a paperback from one of their shelves, I pretended to skim its pages. My breath quickened and went shallow at the realization that all that separated us were just a few cafe tables. "Corri, can you make the regular first? I’m dyin’ ova here!" Marissa came bounding out of the back kitchen speaking in a horrible, over the top, fake New York accent. She stopped and sighed when she saw me, as if someone let the air out of a balloon. "Oh. Hey, Travis." After a beat and awkward stare she whipped back around to Corri, theatrics returning. "We had soooooo much fun last night. You really should have come out." Yanking the coffee pot out of Corri’s hand, Marissa droned on about people I knew, doing things I never would. I let her voice fade into the background. Unlike Corri, Marissa did go to my school. She was a year behind me, a self-proclaimed theatre nerd who was neither nice nor cruel to me. Everything about her was loud: her voice. Her makeup. Even her hair was loud—hard, black, sharp, and sprayed. The two of them standing next to each other made for such a stark contrast. Taking advantage of their conversation, I summoned the courage to peer over the top of my book. Corri was standing sideways, listening with a light smile on her lips. She never tried to look pretty; she just was. Her profile was perfect, with a delicate frame and flawless pale skin. Her shoulder length light brown hair had subtle waves in it, which you could still kind of see even though she usually tied it back at work. If she wore make-up, I couldn’t tell. And almost every time I saw her, she wore blue jeans, a white t-shirt, and tennis shoes. I wondered what she looked like in a dress. The bell above the door rang loudly and two forceful baritone voices ripped into my musings. "What’s up, ladies?" "Oh my God, John, I was just telling Corri how much fun we had last night!" Marissa leaned over the counter smacking her gum in what I could only assume was her attempt at being seductive. His younger brother Terry stayed up front, but John bypassed Marissa immediately and walked a few steps down the counter so that he was opposite Corrine. I hated how tall he was. On a good day, I was 5’5". John must have had almost a whole foot on me. Grinning, he used his strong forearms to prop himself up on the counter. "What’s a guy gotta do to get you to go out with him, Corri?" "I go out with you guys plenty," she answered, picking up a rag to wipe down the counters. "I’m not missing anything. We do the same old thing every time." "I mean just you and me, Core. Whaddya say? When you gonna let me take you out?" "Find someone your own age." John snorted with laughter. "I’ve tried, but none of them’s as pretty as you. Sides, I ain’t that much older than you." "I’m not big into going out. I’d rather just stay in and read a book." "A girl like you doesn’t need to be stuck inside reading. You don’t have any sense, girl!" "I have enough sense not to get involved with the likes of you." Without realizing it I let out a laugh from behind the book carousel. Terry, who had been silent until now, asked, "Hey, who’s back there?" I sidestepped a bit, clutching my book to my chest. "Who is that? I see you back there." Terry was only a year younger than John and although they had similar features (perfect white smiles, blonde hair, and striking blue eyes), Terry was significantly smaller. But what he lacked in size, he more than made up for in bitterness. "Thomas? That’s your name right?" I just held up my book as if that explained what I was laughing at, or what I was doing at the store in the first place. Looking down, I quickly walked over to the counter and put it down to pay. Corri came over to the cash register, smiling politely and kindly. Terry began to whistle some little nondescript tune as she did. The notes were all terribly off-key, but something told me that even if they weren’t, I still wouldn’t be able to make out the song. "So you think Corri’s funny, do ya Thomas?" Terry stopped whistling and I could feel his eyes move over me as I pulled my wallet out of my back pocket. "Leave him alone, Terry," she said. "It’s nice to see you again. That’ll be eighteen sixty four." Corrine put her hand out for the money. "What? I’m just askin’. You’re funny. She’s funny, right guys?" Terry came closer to me. He leaned his back against the register crossing his arms and legs. He was so close I could feel his breath. "She’s real pretty, too, isn’t she? You like looking at her?" My body, as I was so accustomed to, once again betrayed me. I willed it to stop, but the warmth had already moved up my spine and into my face as I handed Corri the twenty dollar bill. "He’s turning beet red! Oh my God look what you did, Corri! You didn’t even have to touch him!" Terry roared. "You got this guy all hot and bothered. Just look at him!" Everyone but Corrine erupted into laughter. "Terry, I said knock it off!" She looked at me and smiled again. "Don’t pay them any attention. They only just started walking upright." Corrine closed the register and handed me the change. Calmly, she picked up the book. "I like Bill Bryson. This is one of my favorites." She leafed through a few pages of "A Walk in the Woods." "You know, he grew up in a small town like this? In Iowa." All I could do was nod and look back down at the floor. She smiled and handed it back to me. Seeing her reaction, Terry now tried to put his arm around my shoulder. "Hey no hard feelings, kid. I was just kidding around. Just havin’ some fun, OK?" I wriggled out from under his arm and quickly hurried over to the door. Corri must have given Terry a look because as the door closed behind me I heard him yell, "What? How was I supposed to know the guy was a mute?" Obviously he had forgotten my laugh was what had sparked the whole exchange. None of that mattered, though. She had spoken to me. It was one of the most thrilling things that had ever happened. Not only had she spoken to me, but I was now holding something that was precious to her. "One of her favorites," she had said. I hadn’t even looked at the title until she said that. My strides were wide and fast, yet the concrete seemed to stretch and lengthen with every step. I lived only a few short blocks down from the coffee shop, right above the laundromat my parents owned. Our building was three stories high. The bottom floor was completely devoted to the laundromat. The second floor was our living space, and until recently the top floor had been used only for storage. My Dad had cleaned in out a few weeks ago. "Your first apartment" is what he called it. He was so excited when he first showed it to me. He and my mother presented it as an early graduation gift. They said it would give me more privacy—make me feel more independent. I think they were disappointed by my reaction. It would have been any other seventeen-year-old’s dream-come-true, but what did I need privacy for? By the time I reached the building, I had broken into a full-fledged run. Bursting through the side entrance, I stumbled at the base of the stairs which led up to all three floors. I must have only touched down twice before reaching the top. In one swift movement, I made it through the door, across the room, and over to the modern gray fold-out couch I used as a bed. I flopped down on my stomach, gasping for air. With the book in front of me, I used my feet to work off my shoes, and began reading. The book was about one man’s quest to hike the entire length of the Appalachian Trail. It was almost voyeuristic, imagining Corrine as she read, sharing in what must have been her reactions to the author’s every triumph and defeat. The idea of being somewhere she had been and feeling things she must have felt was so intoxicating that I couldn’t let the story end. When I got to the last page, I refused to read it. Instead I went back a few chapters—just to make sure I hadn’t missed anything. The next time I got to the last page, I flipped back to the beginning and started skimming through all of the chapters again—reliving passages at random. This game went on for hours, during which my mother must have come up three or four times to ask me to come down for dinner. I told her I didn’t feel well. She ended up leaving a half a sandwich and soup by the side of the bed. Daylight retreated unnoticed and the food remained untouched. When my eyes and body finally did succumb to the strain, I folded the second to last page and placed the book down next to me on the bed. I put my hand on its cover, as if swearing on a Bible, and vowed to save the end for a time when I really needed it. Being in one position for so long had made my entire body stiff. I felt the soreness in every muscle as I carefully rolled onto my back and stared up at the ceiling. Every time I blinked, there was a bright flash of light and the ceiling appeared to get closer. Hoping to counteract the effect, I turned to the side. That’s when I felt the talisman. Its hard, round edges dug into my skin through the pocket of my jeans. I fished it out with my hand, and laid it out on the bed in front of me. The red flecks against the dark green of the stone looked like blood, but it was really quite beautiful. Flipping the talisman over, I discovered that there was a word carved into the back: dromencian. I ran my finger over the deep groves of the letters, then groaned and fell back on the bed as a fresh new wave of guilt washed over me. If Doctor Kelly had really believed and cared enough to give me such a precious artifact, I least owed it to her to try one of her hippie therapies. Placing the talisman on my forehead I closed my eyes. "Do your magic." I said sarcastically. Taking a deep breath, I laced my fingers together, and rested my hands on my stomach. Over the next twenty minutes, I gradually felt my heart rate slow. As I concentrated on the rhythm of it, a warming sensation started at the crown of my head. It pulsed at the same speed as my heart and spread slowly, like honey, down the entire length of my body. Whatever tension there was in my muscles or care that existed in my mind completely melted away. It was extraordinary! An exquisite state of relaxation I never knew was possible. Was I asleep? Was I awake? Curious, I tried to open my eyes, but instead of seeing my room, my mind’s eye was lit up with a few bursts of brilliantly colored light. The flashes of light had startled me, but my body did not react. Willing myself to move, I was surprised to find that I no longer had control of my body. I was physically powerless, locked somewhere in this mysterious state between sleep and wakefulness. This is certainly an odd situation to be in. I thought. Should I try to sleep or should I try to get up? It didn’t take more than a few seconds for me to come to the conclusion that being awake was nothing worth fighting for, so I let go. I surrendered myself fully and completely to whatever powerful grip this strange place of limbo had over me. For a brief moment, I felt as if I was floating. Then, just as my mind began to succumb to sleep, suddenly and without warning, the most unusual thing happened. Lucid Copyright © 2013. Natalie Roers. All rights reserved by the author. Please do not copy without permission. "Roers' debut novel heralds the arrival of an intelligent, heartfelt voice in the world of young adult fiction. The rich characters, emotional complexity, and confident prose are matched only by the landscape of dreams that Roers sets them against... a landscape brought vividly to life by the author's seemingly boundless imagination. This is a novel that respects its readers as much as its characters, and that's a beautiful rarity." "Natalie Roers' debut novel is both riveting and relevant. More than a paranormal/fantasy/thriller, this is a complex tale that cuts to the very of heart of issues facing young adults today. Well sculptured characters and powerful imagery propel Roers' fascinating narrative." 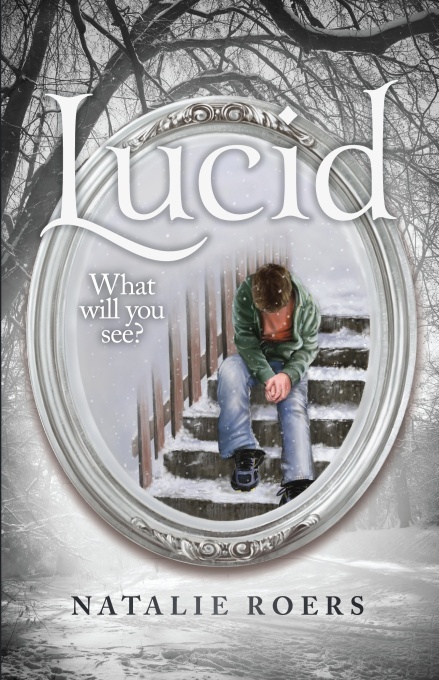 "Lucid is an interesting story and a fun read." "Natalie Roers' voice is amazingly confident for a first novelist. Her journalist's eye for human detail draws you in, and makes you care about the people who populate the LUCID world. The more I got to know them, both awake and asleep in the world of lucid dreaming, the more time I wanted to spend in their world." ~ Jeff Howard, writer for Film District and Focus Features. Cover design © 2013 by Ural Akyuz.